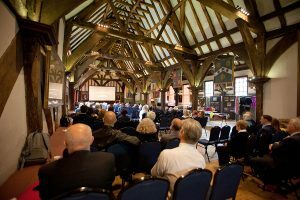 The Day of Celebration 2018 will take place on Friday 27th April at the Merchant Adventurers’ Hall in York. The daytime events are free to attend, although booking is essential. The Celebration Dinner costs £66.00. The day includes the AGM, Awards Ceremony, President’s Reception and Celebration Dinner. There is no charge for attending the daytime programme of events, although booking is essential. The cost for attending the evening drinks reception and dinner is £66.00 (£55.00 plus VAT). York’s official visitor information service is Visit York, which has links to accommodation and other information to help in planning your visit. We advise you to book your accommodation as early as possible!